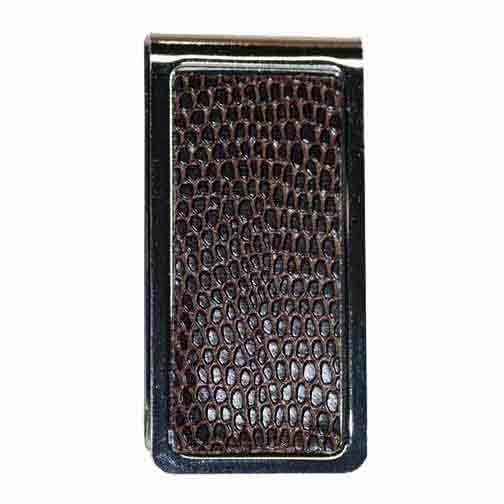 TEXTURED LIZARD LEATHER SLIDE IN MONEY CLIP FRAMED IN SILVER. 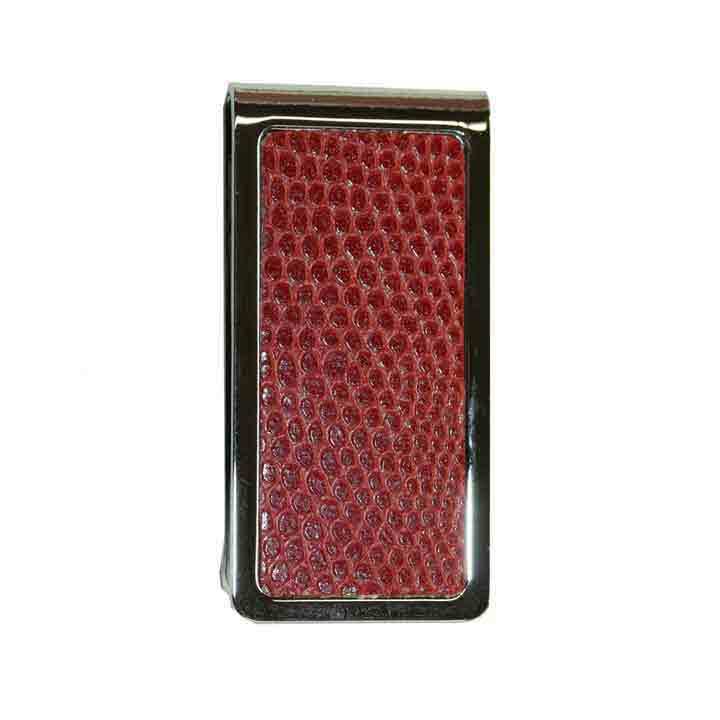 AVAILABLE IN BLACK, BROWN, OR RED LEATHER. GIFT BOXED. 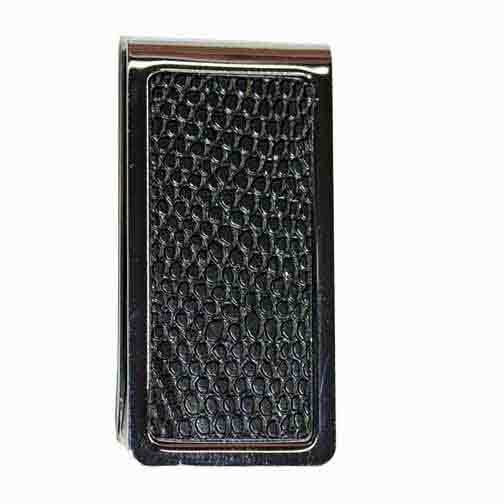 MEASURES 1 1/4" X 2 1/4"